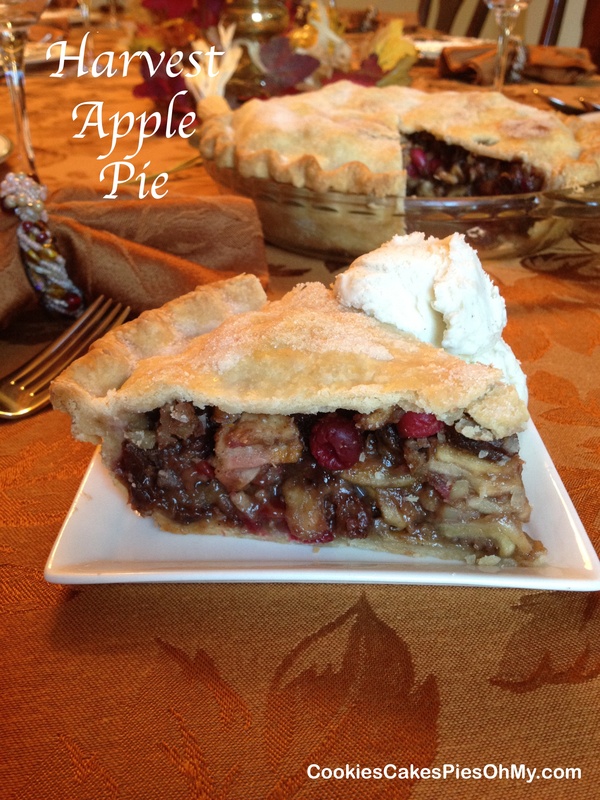 Here’s another pie! Can you ever have enough pie? I think not. 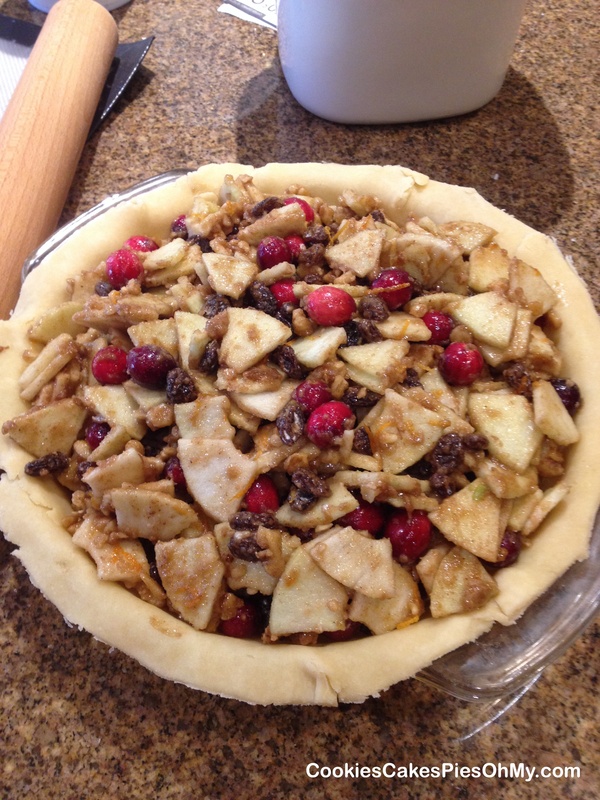 This one is filled with apples, cranberries, raisins, walnuts, brown sugar, and cinnamon. Fall time all wrapped in a flaky pastry! Preheat oven to 400°. 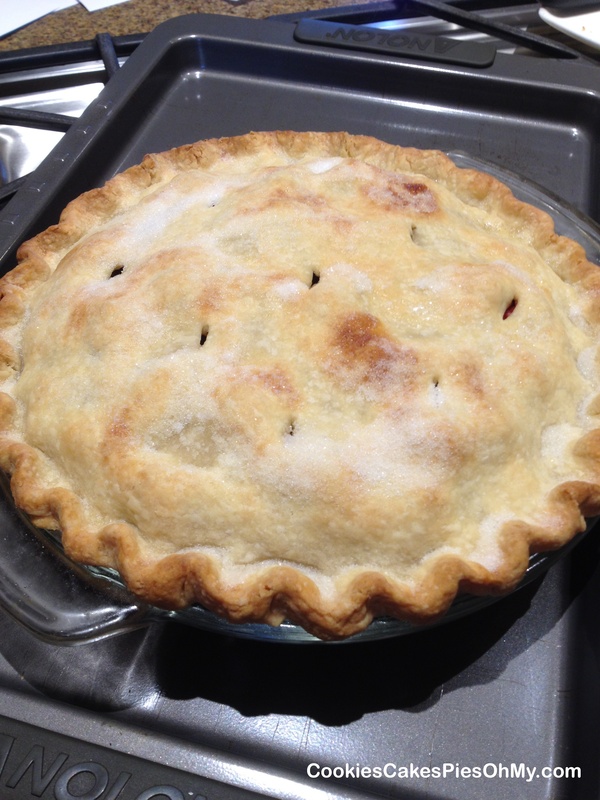 Line 9″ deep dish pie plate with half the pastry for bottom crust. 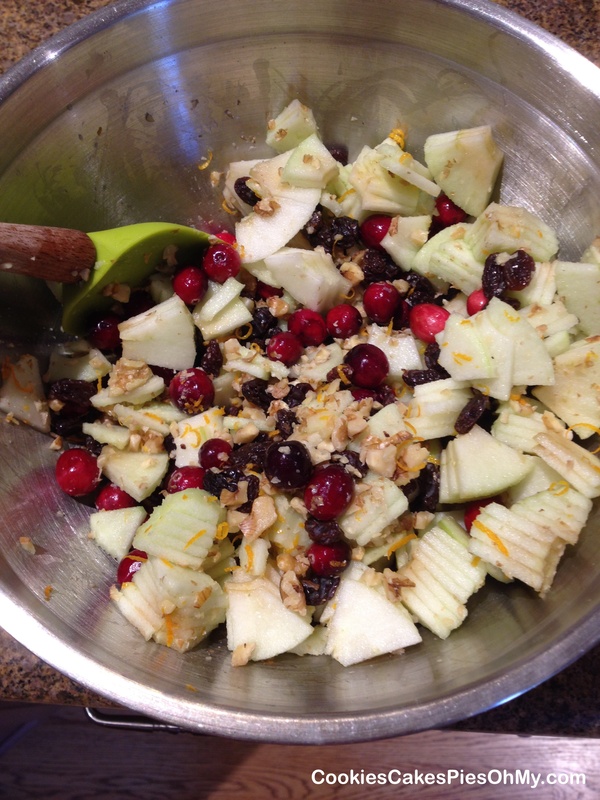 In large bowl, stir together apples, orange zest, cranberries, raisins, and walnuts. Add flour, brown sugar, cinnamon, and nutmeg. Toss gently until all is well coated. 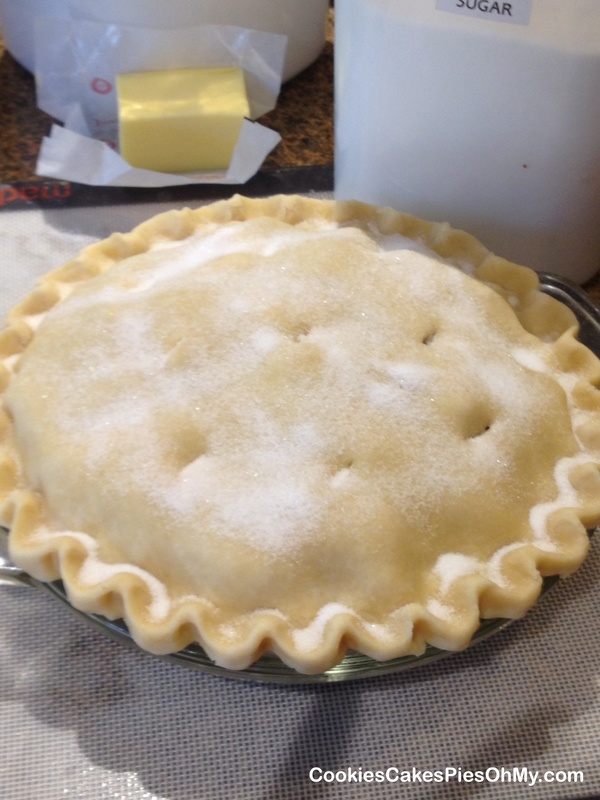 Pour into prepared pie plate, dot with chunks of butter, roll out pastry for top crust, cover and crimp. Sprinkle liberally with sugar. Bake for 45-50 minutes or until apples are tender. 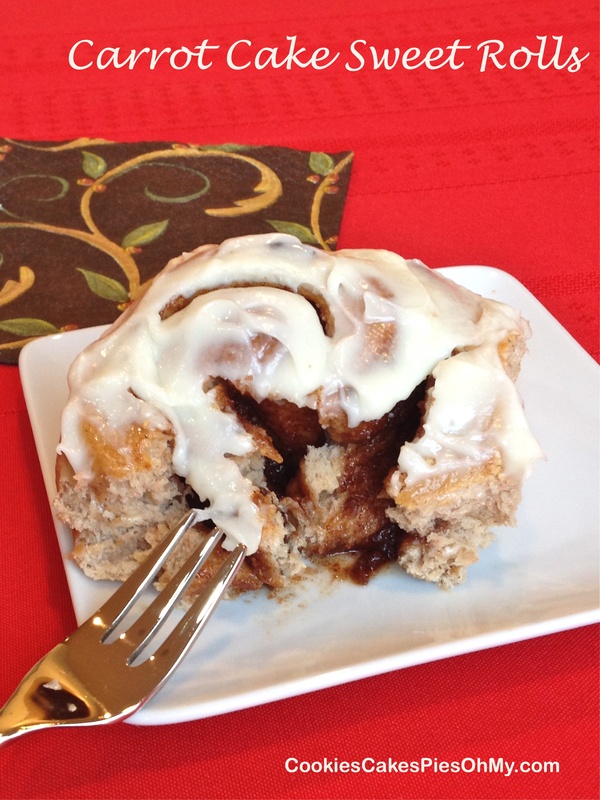 Serve warm with vanilla or cinnamon ice cream! I can remember listening to a conversation between my husband and son about how disappointing it is to bite into an oatmeal cookie expecting the dark pieces apparent to be chocolate chips and finding they are raisins! Life is SO cruel! Well, I love raisins in my oatmeal cookies. This recipe is my version of a recipe I remember my grandmother making when we would visit each summer, great memories of visiting Mt. Pleasant Utah. 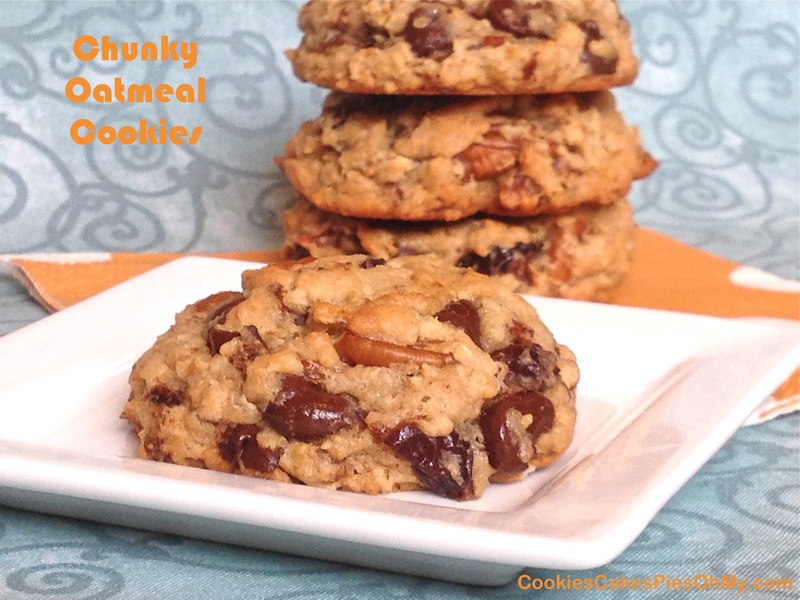 Yes, there are raisins in these oatmeal cookies, but disguised with chocolate chips and pecans. Hopefully, they are not too painful to choke down! Put raisins and water in micro safe bowl, cover with plastic wrap and microwave 2 minutes. Remove, uncover, stir, and let cool. Preheat oven to 350°. In large bowl with electric mixer, cream butter, sugar, and brown sugar. Add egg, vanilla, and dump in raisins; mix well. Add flour, oats, baking soda, baking powder, and salt. Mix just until combined. Stir in chocolate chips and pecans. 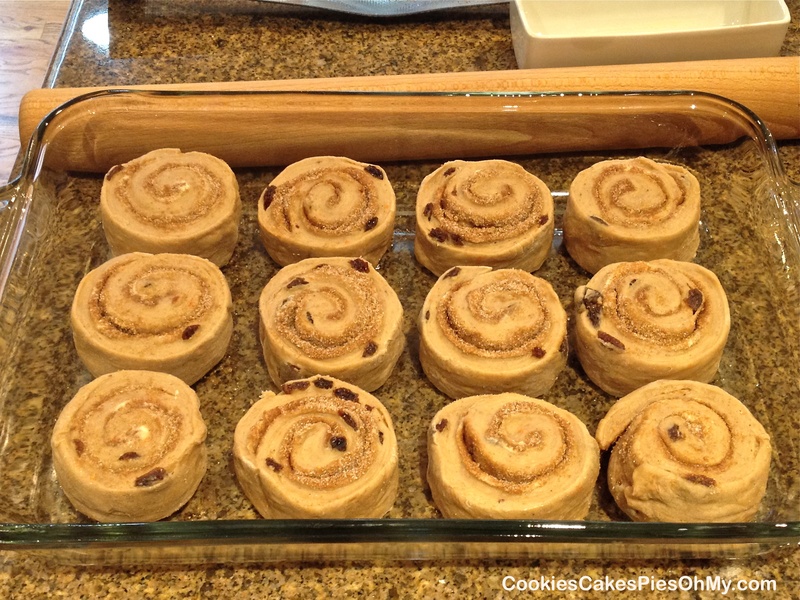 Drop by scoopfuls onto sprayed or Silpat lined baking sheet, press down just a little. Bake for 11-12 minutes or until golden. 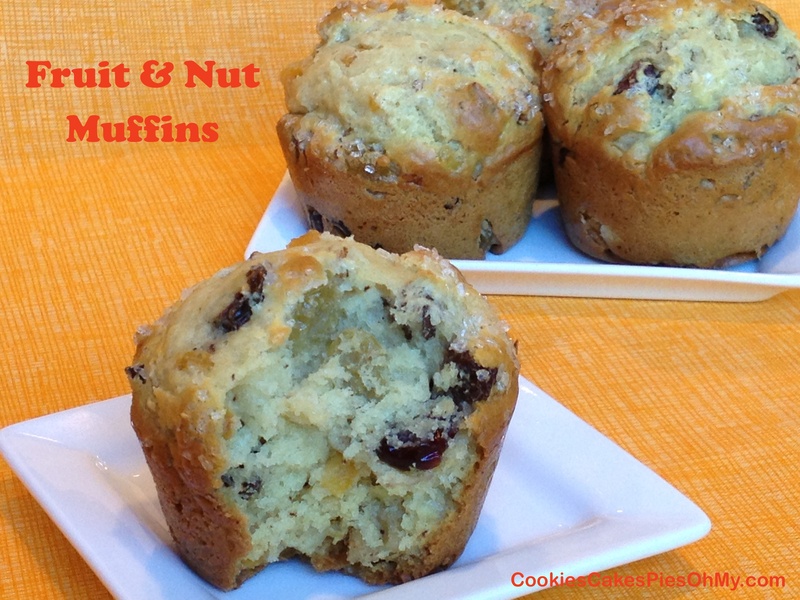 Craving a muffin! 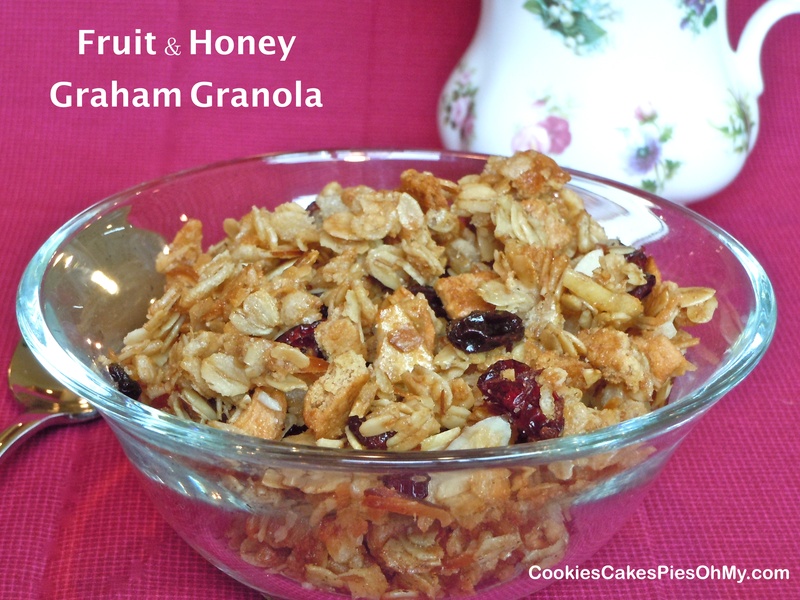 I made these a little sweet, and then, the bits of fruit give it a little more sweet! The nuts give them bites of crunch. Craving satisfied! Put raisins, dried cranberries, apricots, and golden raisins in small bowl and cover with hot water; let sit about 15 minutes. Preheat oven to 400°. In large bowl, stir together flour, sugar, baking powder, baking soda, and salt. In another bowl, mix together sour cream, milk, oil, and egg; pour into dry ingredients and stir just until combined. Drain water from fruit and gently fold in fruit, pecans, and walnuts. Scoop into a 12 cup muffin pan, sprayed with non stick spray or lined with papers. Sprinkle with sugar crystals if desired. Bake for 18-20 minutes. My father loves raisin pie, so I usually make one for him on Father’s Day. I did again this year, but I also thought I would try something different. 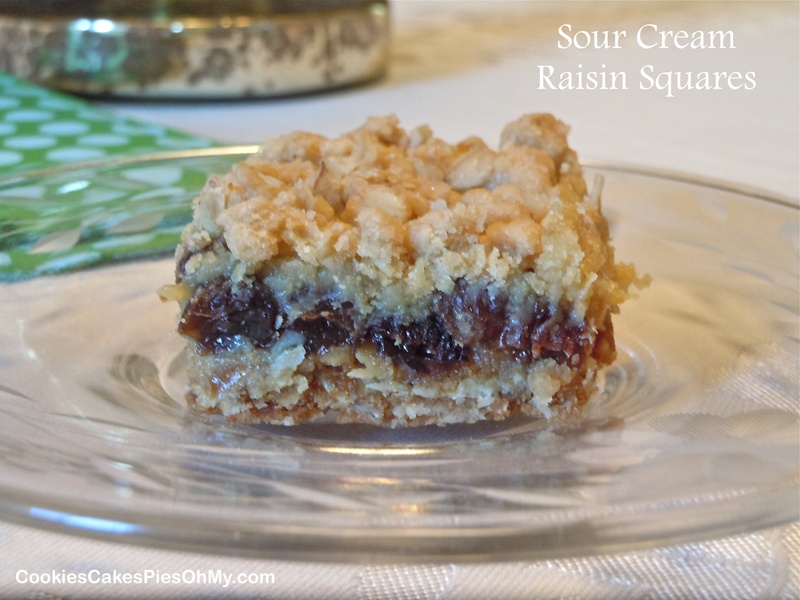 These Sour Cream Raisin Squares are wonderful! Preheat oven to 350°. Cream butter and brown sugar. 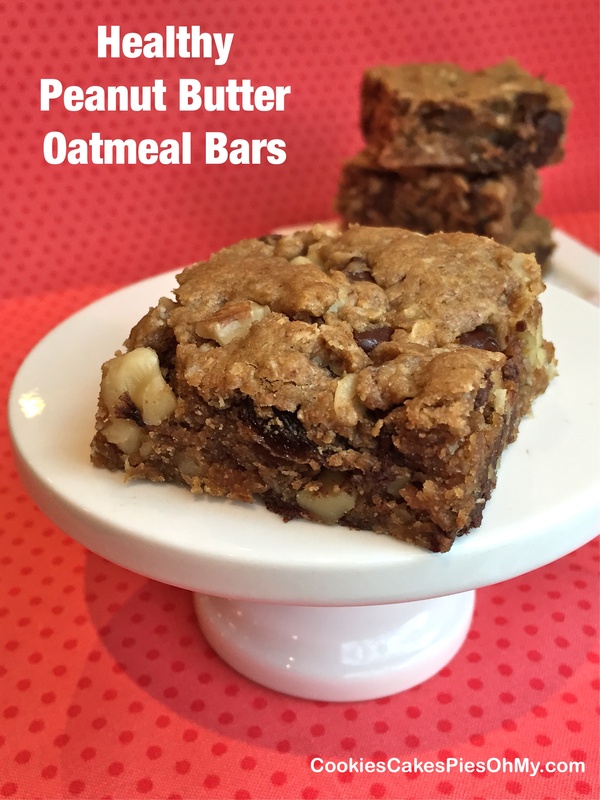 Combine flour, oats, baking powder, baking soda, and salt. Gradually add dry ingredients to creamed mixture, mixture will be crumbly. Set aside 1 cup, pat remaining crumbs into a sprayed 9″x9″ baking pan. Bake for 12-15 minutes, until lightly browned. In small saucepan, combine egg yolks, sour cream, sugar, raisins, and cornstarch. Bring to boil, cook and stir for 5-8 minutes. Remove from heat and stir in vanilla and butter. Pour over crust, sprinkle with reserved crumbs. Bake 15 minutes longer. 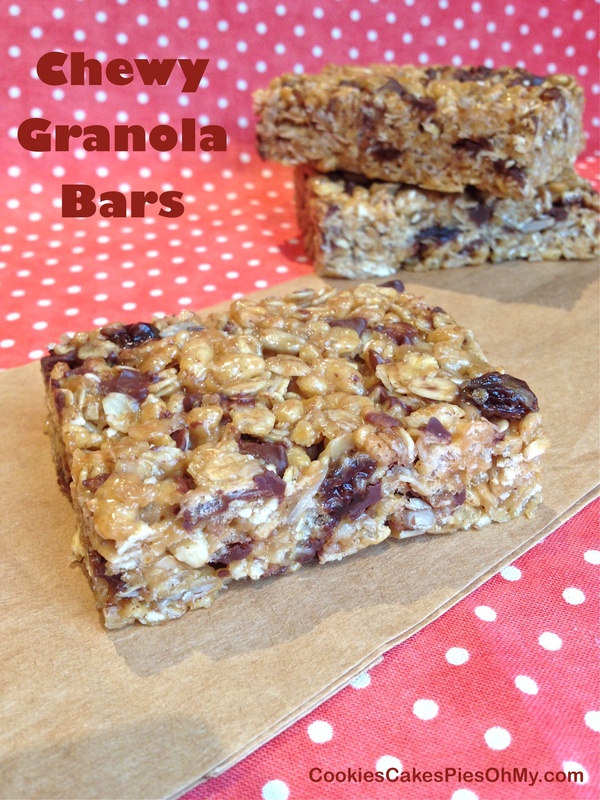 This is a favorite treat I have been making for years when my husband is eating sugar free. 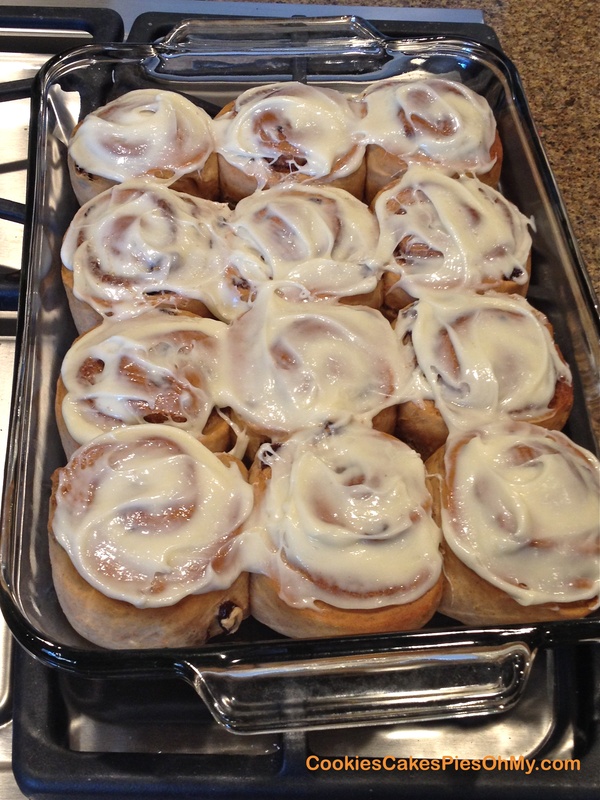 I know, you are probably thinking…sugar free in that house??? Well, my husband has amazing self control and when he decides to eat sugar free, he can do it for years. The only indulgence is Christmas and birthdays. Every once in a while I will make this cake for something a little sweet tasting. 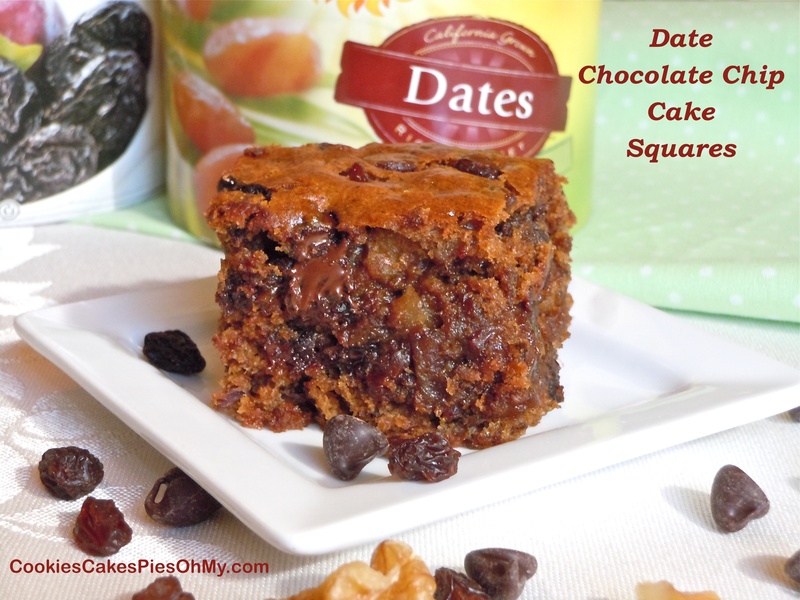 The dates, prunes, and raisins make this sweet and moist, try it! Combine dates, prunes, raisins, and water in medium saucepan; heat to boiling. Reduce heat and simmer, uncovered, until fruit is tender and water is absorbed, about 10 minutes. Remove from heat and add butter, stirring until melted; cool. Preheat oven to 350°. Mix eggs and vanilla into fruit mixture. Mix in flour, Equal, baking soda, cinnamon, nutmeg, cloves, and salt. Fold in walnuts and chips. 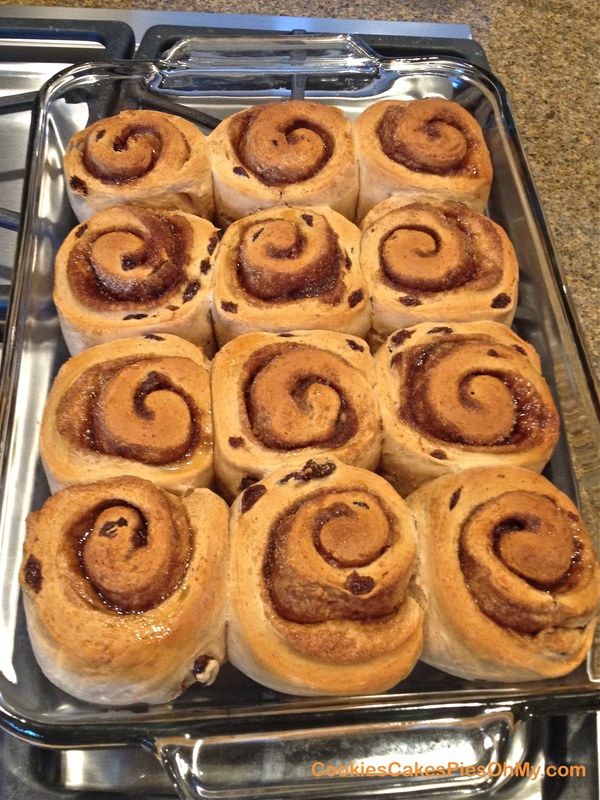 Spread into sprayed 11″x7″ or 9″x9″ baking pan. Bake 25-30 minutes or until pick inserted in center comes out clean. *I find fruit sweetened chocolate chips in the bulk foods section at my grocery store. Original recipe from NutraSweet Company, makers of Equal®. I made some changes to the original recipe.